Much of the activity so far in 2013 has been in sorting out rolling stock. 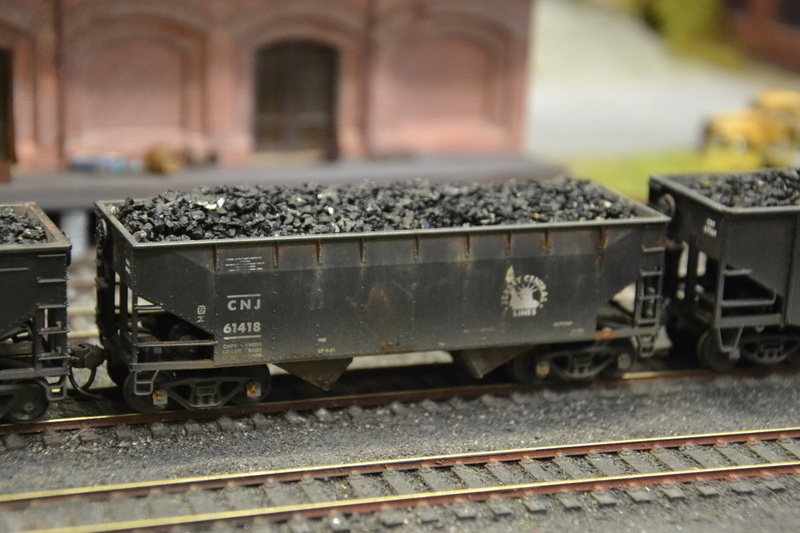 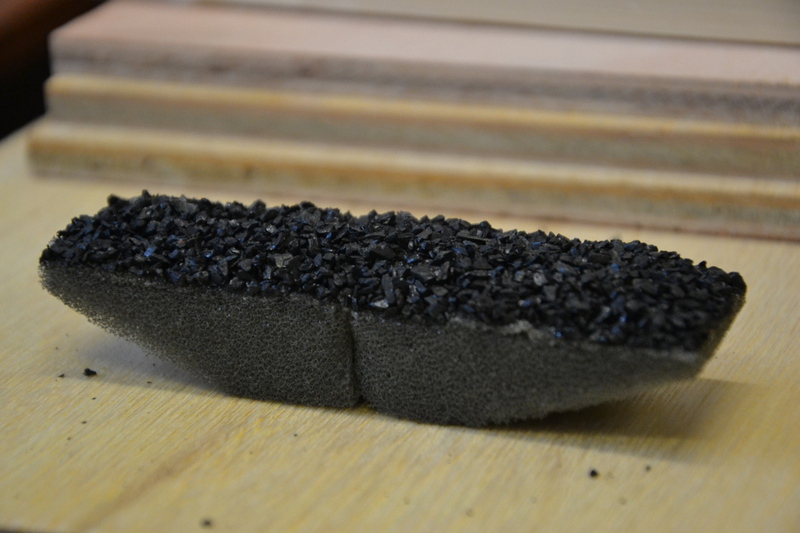 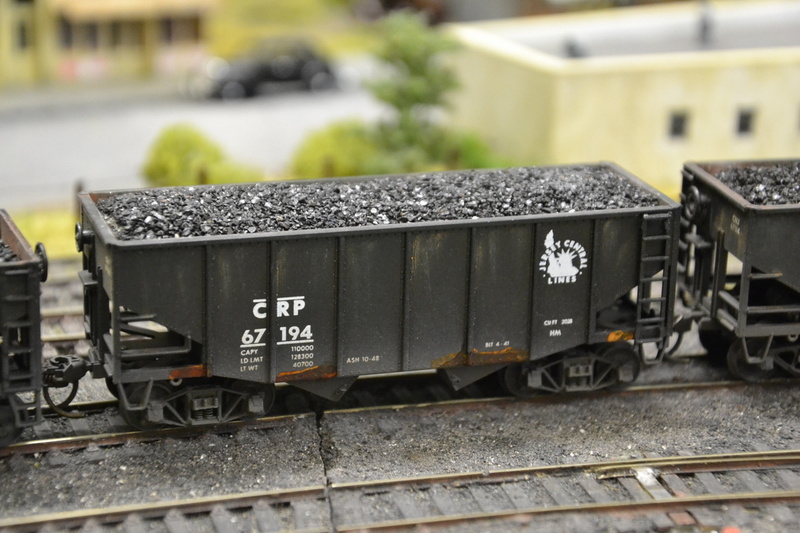 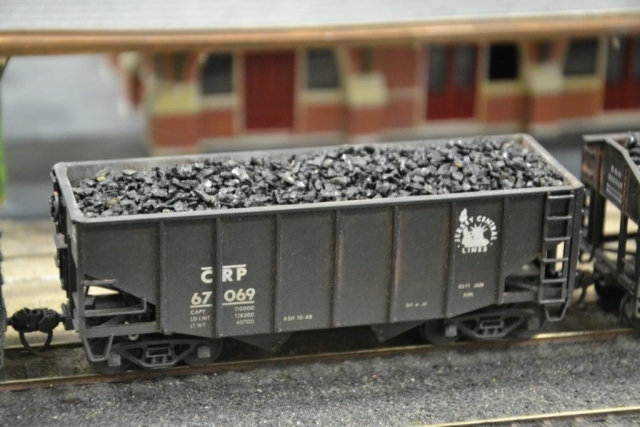 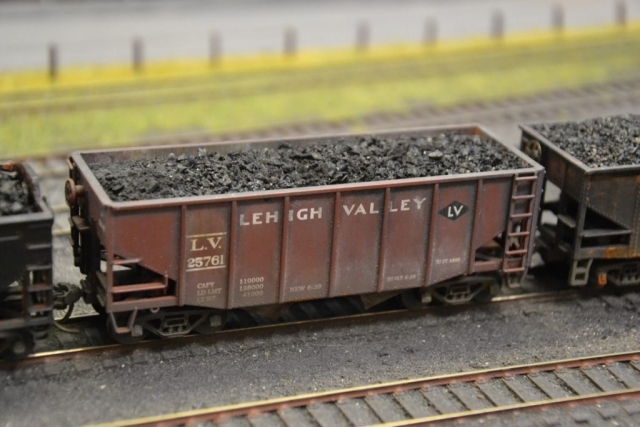 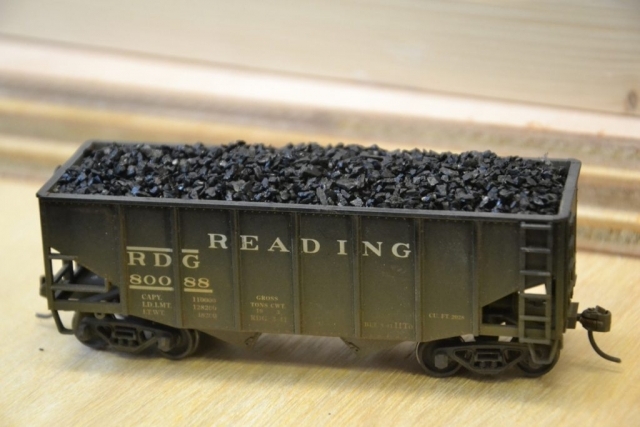 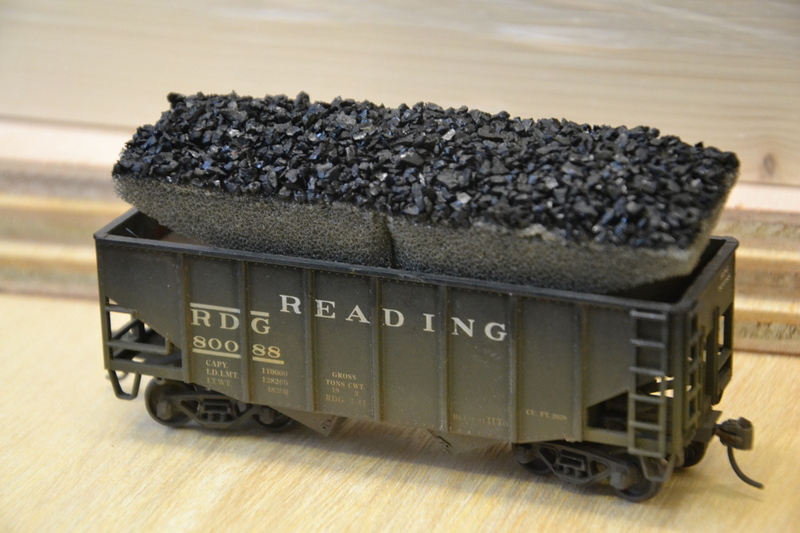 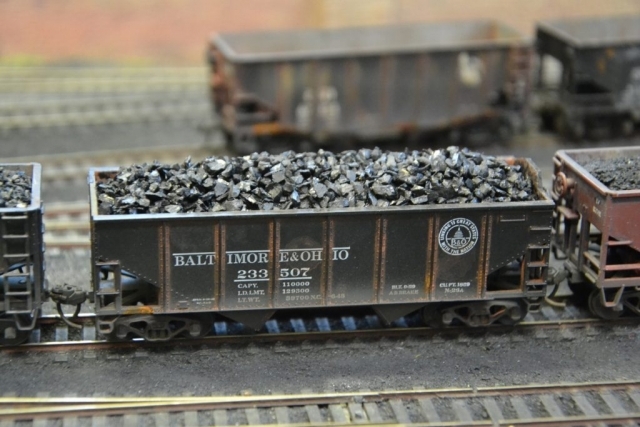 Removable coal loads have been prepared for all the hoppers using real coal, sieved down into different size ranges and glued to foam shapers. 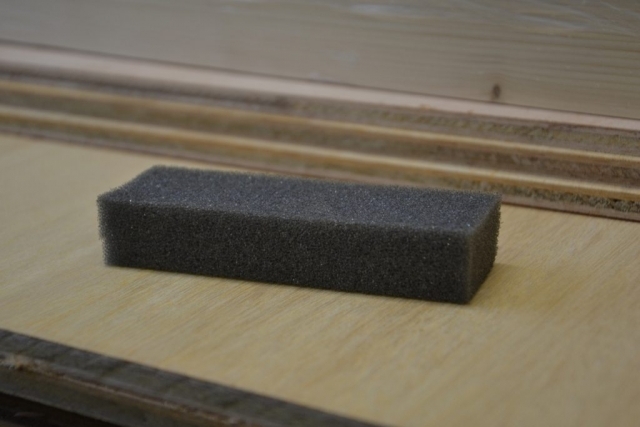 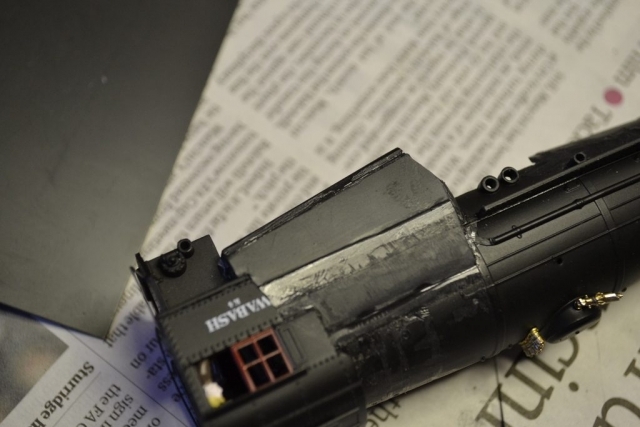 Photos show the basic process and a variety of the results. 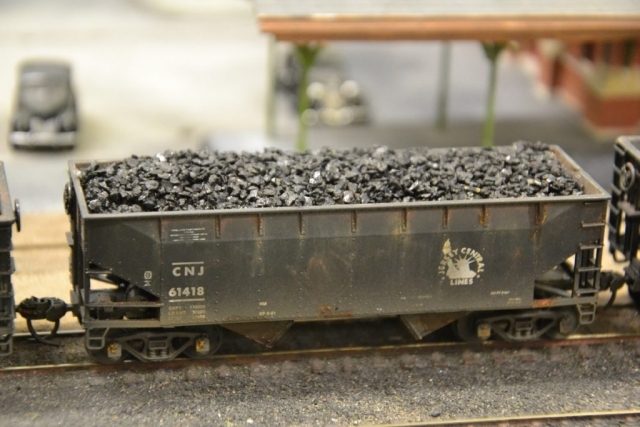 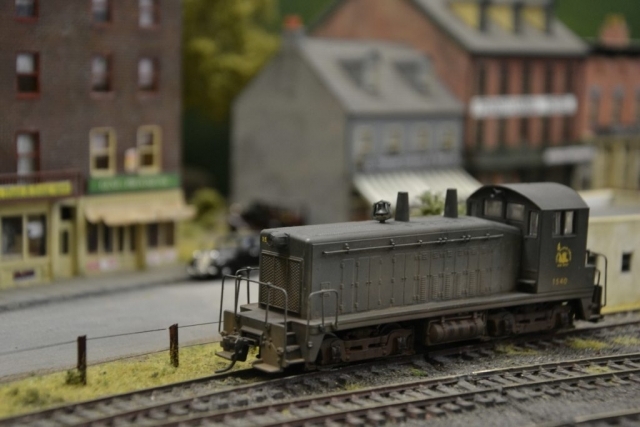 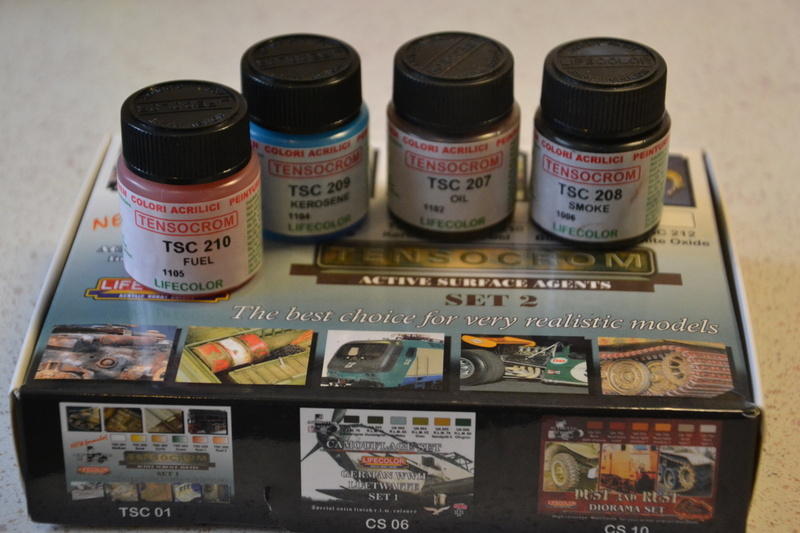 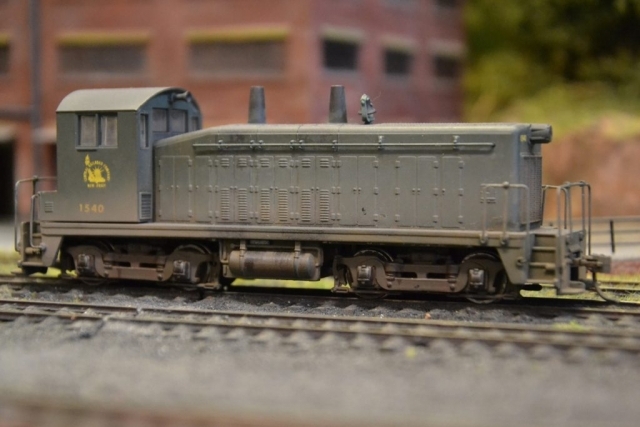 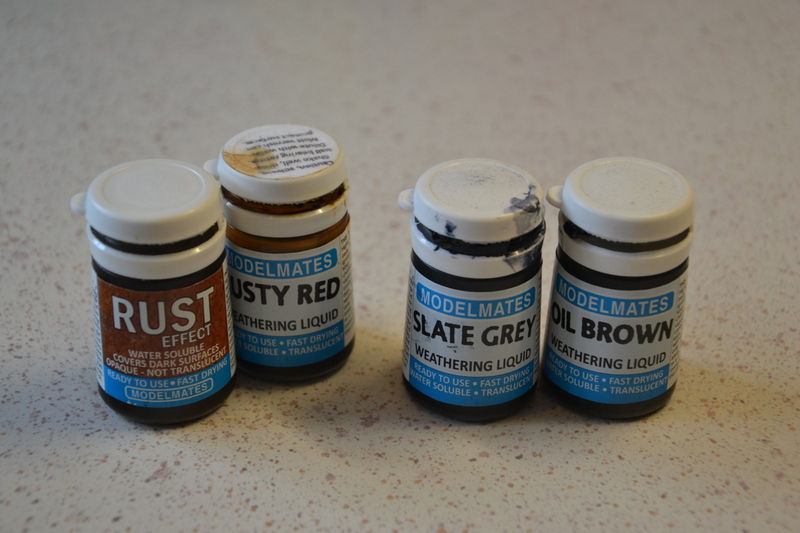 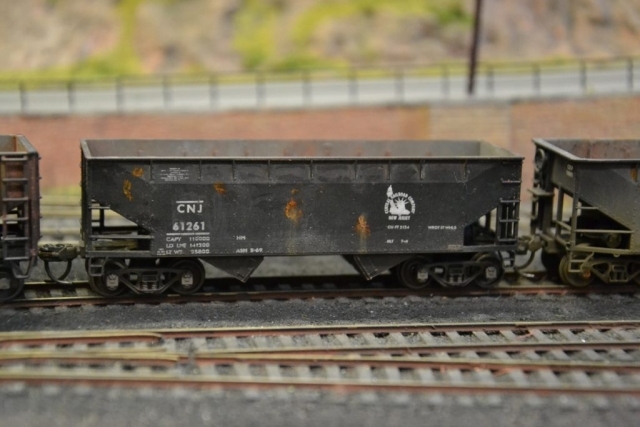 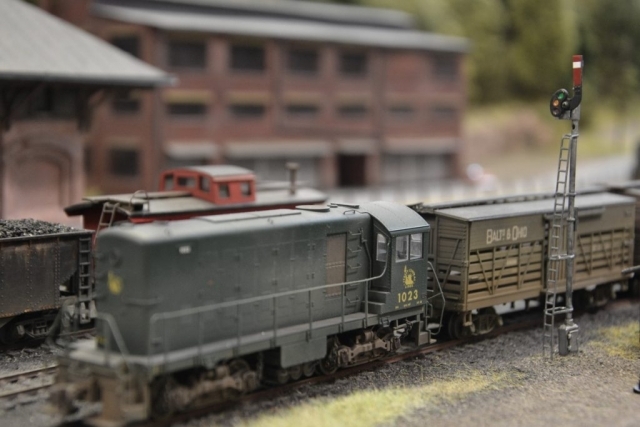 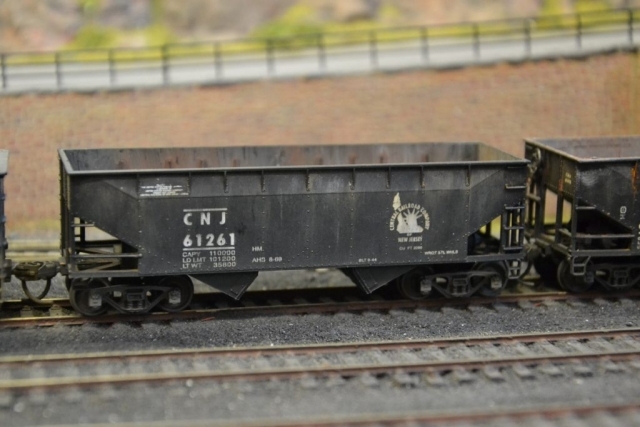 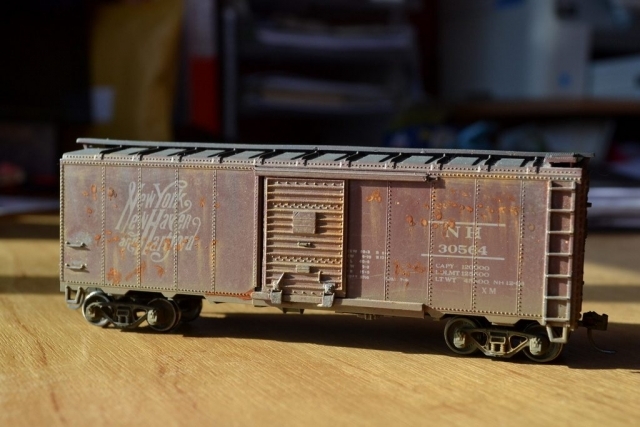 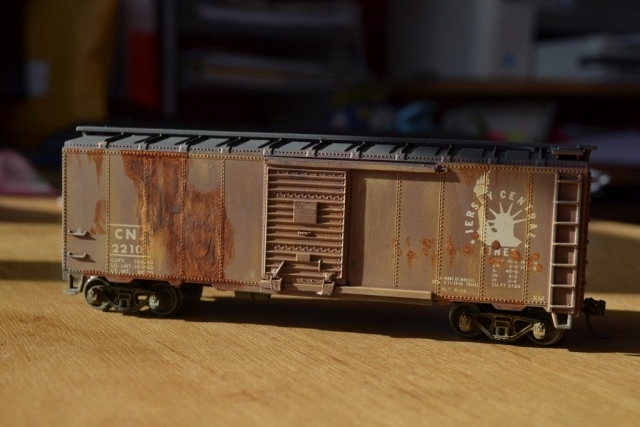 All the hoppers have also been weathered inside and out for consistency using acrylics, weathering powders, Tamiya weathering pads (& make-up applicators – see first photo below), Tensocrom liquids to simulate oil and water spilss, and astonishing Rust effect liquid. 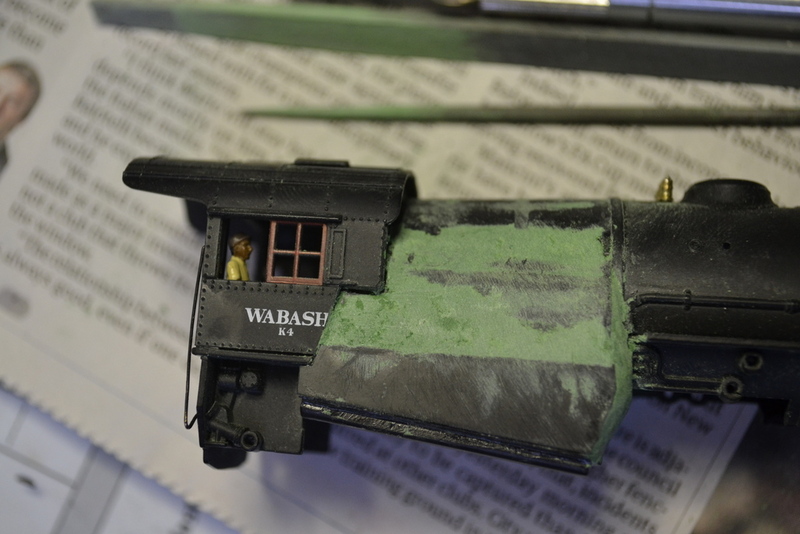 ..also an airbrush. 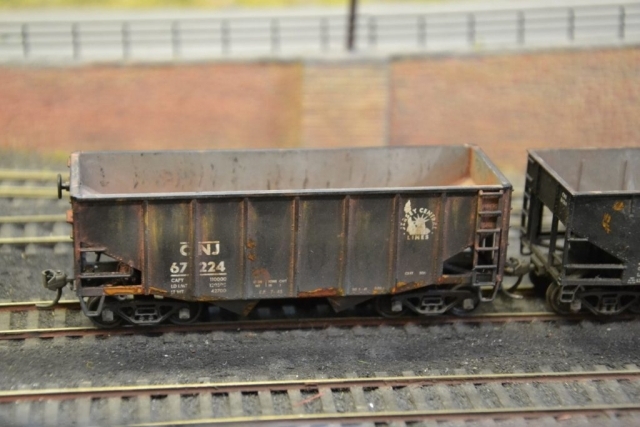 The techniques are all described in the UK ‘Model Rail’ DVD by George Dent – ‘The Weathering Expert’ – quite outstanding and worth purchasing even from across the Atlantic, if you can be sure it will work in a US DVD player. 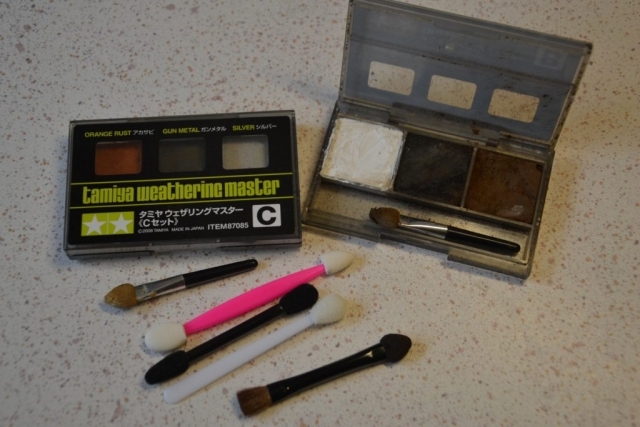 These are the main products and implements used . 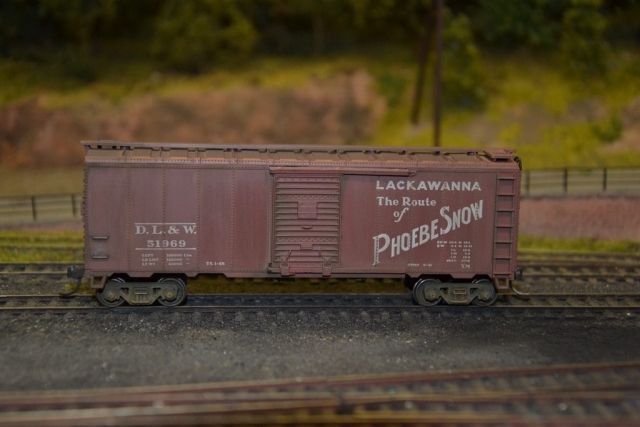 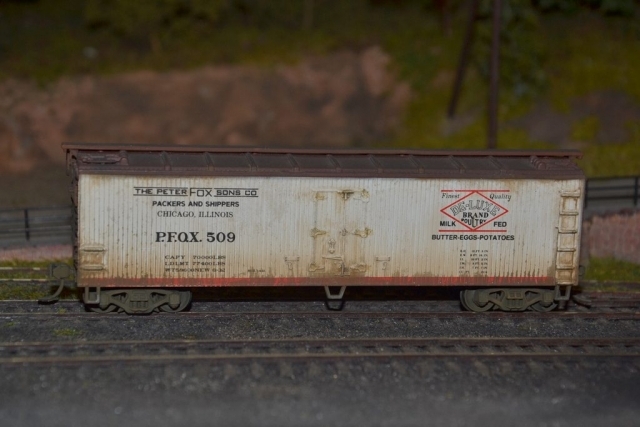 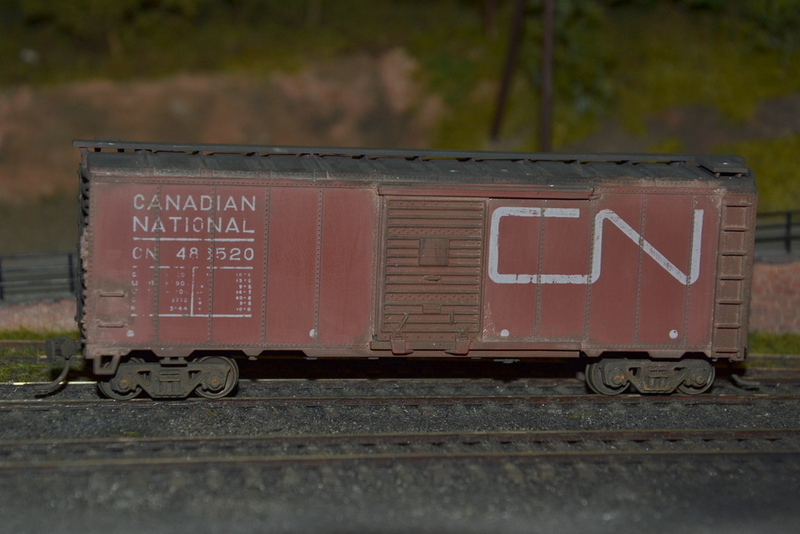 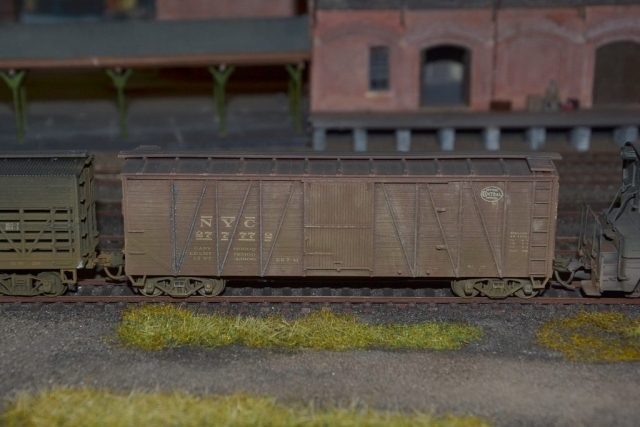 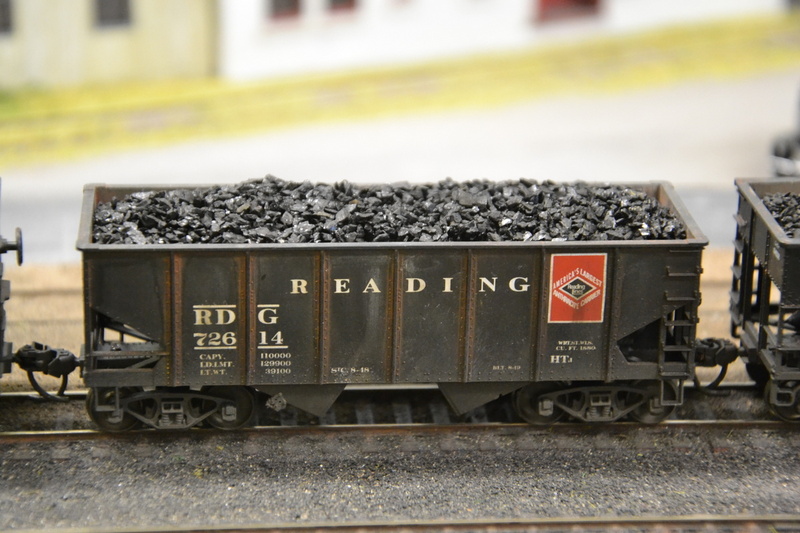 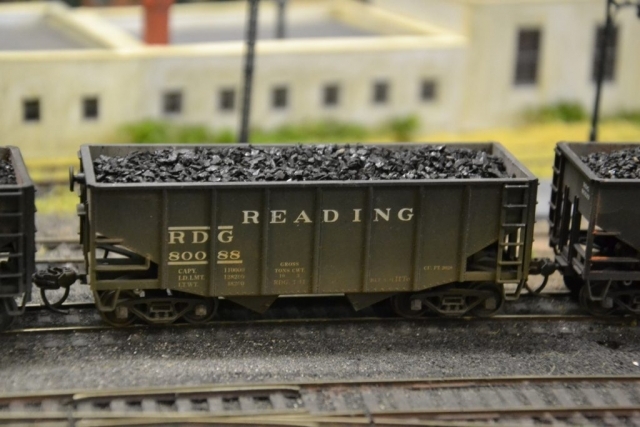 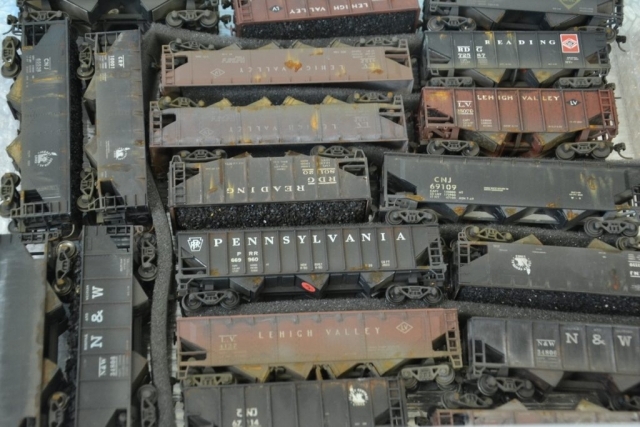 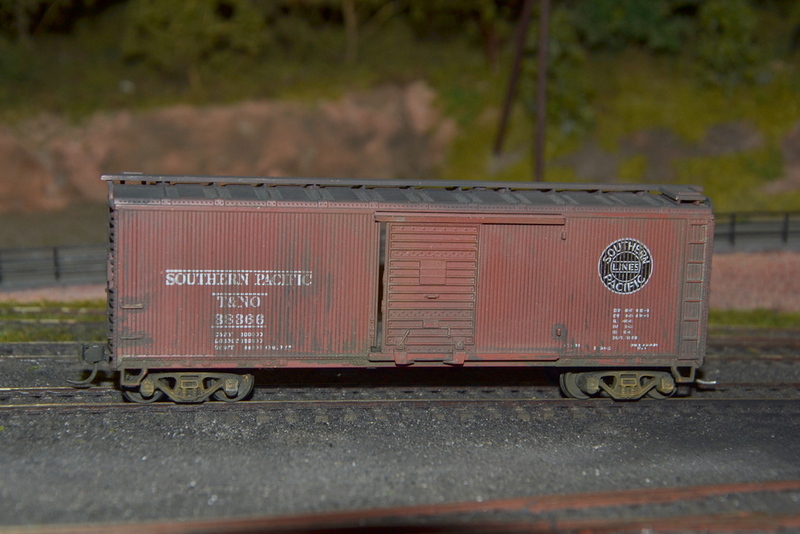 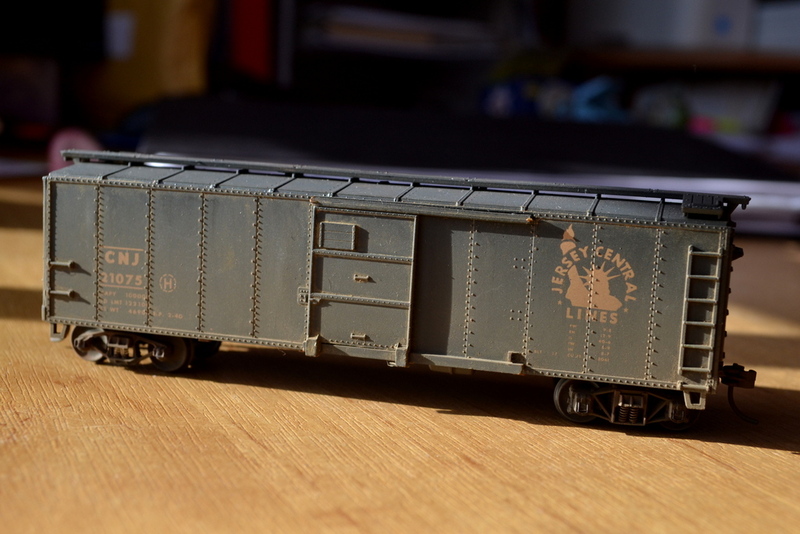 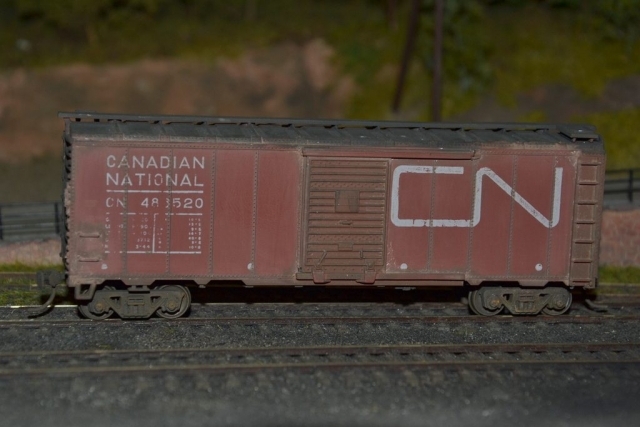 I have also weathered most of the boxcars (some shown below), some tank cars and some switchers. Weathering is hard to photograph, but hopefully some of the photos will give some idea. 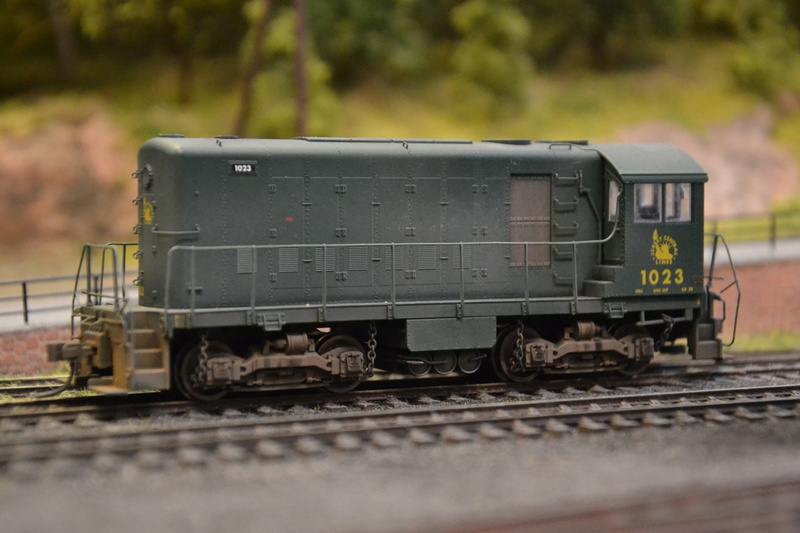 Chris and I have also each started to modify a BLI Mikado to an M3a CNJ Mikado. 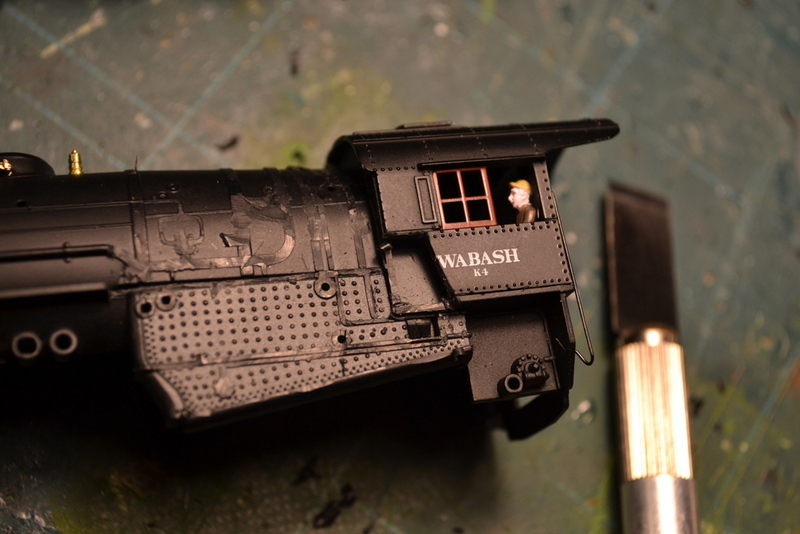 It is still fairly early days but the photos show the steps in producing the classic Wooton firebox. Many more photos to come but it won’t be quick! This entry was posted in 2013, Progress and tagged stock on May 8, 2013 by Steve Hales.